Supplier & Distributor of Bulk Handling Conveyor. Our product range also comprises of Coal Handling Plant, Food handling Conveyors and Roller Conveyor. Bulk Handling Conveyors are available with us at different shapes and sizes. 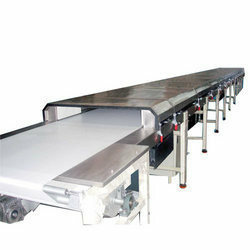 These conveyors are helpful in carrying small amount of materials to large amount of materials. We manufacture and export bulk handling conveyers to our customers at competitive range. Bulk conveyers are heavy in weight and widely used by our clients for their unique features. Looking for Bulk Handling Conveyor ?